Most drivers know very little about tires. When it is time to replace them, they often opt for the cheapest option, thinking that all tires are the same. Another problem among drivers is the lack of knowledge about tire maintenance. Many drivers don’t even bother checking their tire pressure. Thankfully, there’s an icon on the dashboard of newer cars to indicate low tire pressure. Otherwise, many people would be caught with deflating tires with little or no warning. Heel-Toe – Car tires are like the soles of your shoes. If you take a look at your shoes, you will notice that the back part is more worn out than the front. If you notice the same type of wear on your tread blocks, you have heel-toe tires. The problem often results from failure to regularly rotate your tires. It could also be caused by misalignment or damage in the ball joints, suspension bushings, and wheel bearings. Take your car for a checkup at a Utah tire shop to steer clear of this problem. Feathering – Feathering occurs when the tread ribs wear smoother on one side of your tire and sharper on the other. This is often the result of improper wheel alignment settings, such as when there is excessive caster and toe. If the alignment setting is correct, the suspension bushing could be damaged. A Utah auto repair shop can help remedy this problem. Cracking and bulging – Your tires could have small or large cracks or bubbles and bulging. These issues often result from hitting large potholes on the road. If you drive compromised tires, you risk a tire blowout. 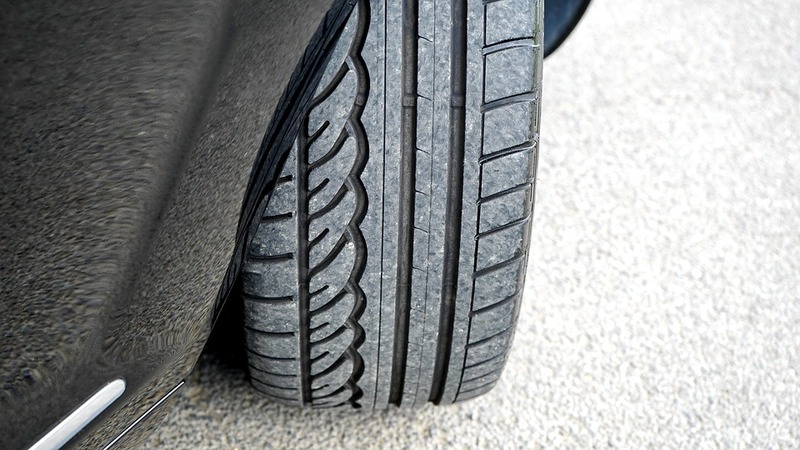 Cupping or scalloping – Sometimes you may see bald spots on the tread of your tires. These are more likely to occur if your car experiences a lot of bouncing due to a damaged suspension system. A poor shock absorber will also cause this problem. Have your suspension system checked out and your tires replaced. You can fix your tire problems by taking your car to your nearest tire and auto repair shop. While at the shop, consider getting your car ready for cold weather ahead by purchasing winter tires. Your all-season tires will not work well on slick roads. Snow tires provide far better traction.